My husband and I are in the midst of moving our business and transitioning our traditional office space to a home office. Basically, we weighed the pros and cons (and ultimately the costs) of retaining our leased office space and it just makes more sense to move our operations home. As a result, I am learning some important lessons that might help others as they consider whether a work from home option would work for them. 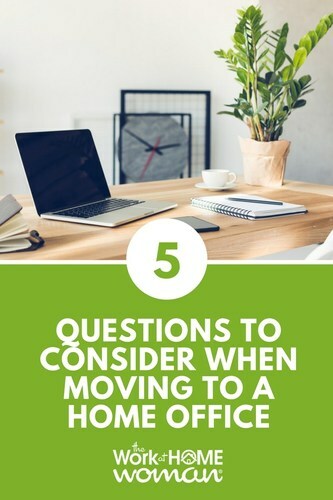 Here are five questions to answer before moving to a home office space. 1. Do you have the technology resources needed to accommodate your business? Our business needs an internet connection, dedicated fax line, and at least two phone lines (that can roll over to the next line should the first be busy). In addition, and most importantly, we have to keep our two toll-free numbers. The toll-free numbers were the deal breakers! Our business has legacy (we have been in business for 73 years), so changing the numbers would have adverse effects on our customers’ ability to reach us. Facilitating these changes at our home was harder than it might seem and ended up being the most complex part of our move. I’d recommend you map out what you must have, and then call up your local provider to talk over the options. Depending on your provider and the area you live in, there may be some services that are not available to residential customers that you cannot live without. Scope this out early in the process so you can determine whether or not the move is feasible. 2. Do you have guests who visit your offices regularly? If you host clients and vendors in your offices, you have to have a game plan in mind of how you are going to accommodate these visitors moving forward. In most cases, it will be unprofessional and/or awkward to have people visit your home office. If your customers have traditional offices, determine whether it will be just as feasible to visit them at their office. Or, if they want to come to you, identify a local restaurant or coffee shop that isn’t too noisy or that offers you the privacy you need to take care of business. 3. Do you have a dedicated space in your home to conduct business? In our case, we already had one home office so all we needed to do was renovate one of our spare bedrooms into a secondary office for my husband (this was an easy fix for us due to the fact that 3 of our 4 children have “left the nest” and are off to military service or college, so we had the extra space). You don’t want your business to take over your entire personal life in your home, so, a dedicated space where you can conduct your business and then leave will help you to define the boundaries between personal life and your work. 4. Do you have inventory or items you need to store somewhere? In our case, we had parts that we had to store in a temperature controlled space. Initially, we thought we’d renovate our garage and store stuff there, but we decided against this solution because it was going to be way too hard to cool the garage to the temps we needed. We learned we could get the space and temps we needed at an AC-controlled storage space for under $100/month. 5. How are you going to physically move your office home? This gets down to the tactical aspects of your move. If you have a lot of furniture, you will want to determine if you want to sell or donate specific items. If you have a lot of files, you will probably find yourself purging (and possibly giving your shredder a good work out), or boxing your paperwork. If you can, invest in an insured mover to handle your move, especially for your technology and equipment (so you will be covered if anything is damaged). Preparation for the physical move is important and will help you avoid anxiety or feeling overwhelmed. I’m sure there are plenty of other aspects I am forgetting or have purposely blocked from my mind, but, this list is a good place to start. What lessons did you learn from moving your business home? Thank you for the good write up. Thank you for the good write up. Moving from a home office, where occupancy costs are effectively zero, to rented space is a big decision. Great post you have. 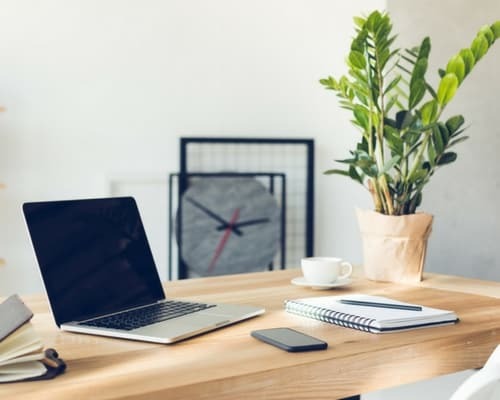 They say’s that working at home can be quite rewarding for new business startups looking for a way to save money on business expenses. After all, if you work out of a home office, you don’t have to commute, which means you’ll save money on fuel expenses, vehicle maintenance costs, office space rent, utilities expenses, personnel expenses to help you run the office, office furniture and equipment, office supplies, and perhaps some miscellaneous expenses that pop up from time to time when you run a business.